I have never been to Cheltenham races, even though I live so close to Racecourse. We’ve all heard of Ladies day (which is on the 11th of March this year), crazy dresses and wild hats. This year though Cheltenham are doing things differently. The best dressed fillies will be chosen solely via social media. They are calling this contest #ColourMeMarch and I’ve entered. Look closer at my Joules scarf – It says CHELTENHAM in the lower right of the picture. A bit closer up – See I told you they are rather RED. 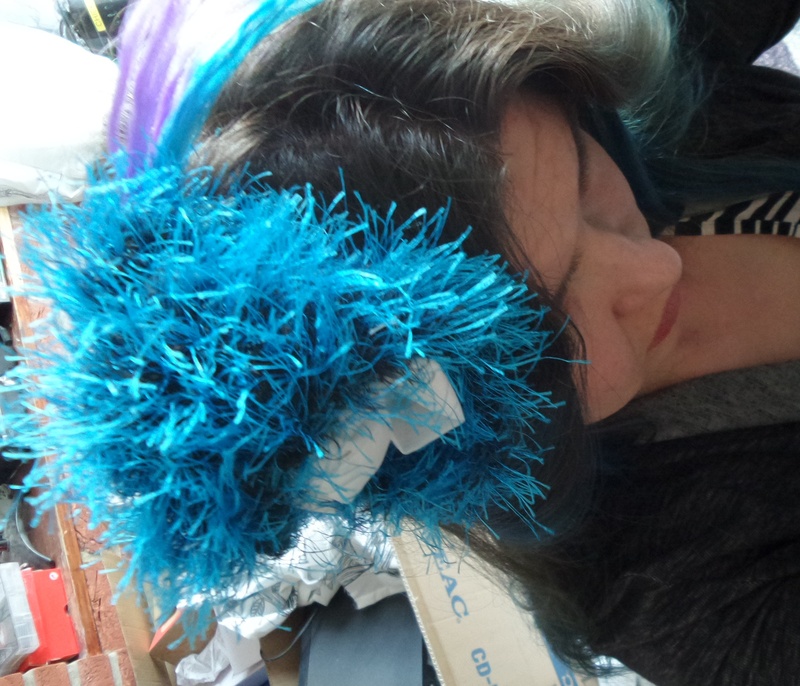 Fascinator I made from knitting fluffy wool, and bright streaks of fake hair on the clips underneath. In my outfit photos (taken by Blokey) I am wearing a Primark floral dress, a Primark animal print belt, Ann Summers red stockings, a Joules scarf, necklace by Nova Silver, hair dye by Live XXL (styled by myself) shoes by Sherbert. If you are going to Cheltenham Festival on Ladies Day get your outfit photo and enter now. It has to be what you’ll wear on the day, so choose wisely. What would you wear? A big silly fascinator or a hat? High heels or flats? Do you have any tips for a racing newbie? I’m thinking rule one is leave the credit card at home, just in case I enjoy betting too much. I’ve never put a bet on a horse, or watched a race. That’s a bit odd as I spent a lot of time at a horse stables in the country as a child, and had horsey pals. Why not pop on to twitter and have a nosey at ColourMeMarch? Disclosure: I was under no obligation to blog this, but huge thanks to eTailPR for the heads up on this competition. Liking the blue look especially the hair and I’m not forgetting the red stockings. Enjoy! Erica Price recently wrote… Wallpops. This sounds like fun! I love your dress and your red fishnets! Mummy of Two recently wrote… Time for a new bathroom?. That’s a fun competition, good luck! I like the the things that you’re wearing and it’s cool that the scarf has ‘Cheltenham’ written on it. Mums do travel recently wrote… Goodwood Under 17s driving academy. Jen Walshaw recently wrote… Tips for getting through the monotony of parenting. The dress is really pretty on you Julie. I must admit you are brave to die your hair though. Good luck! 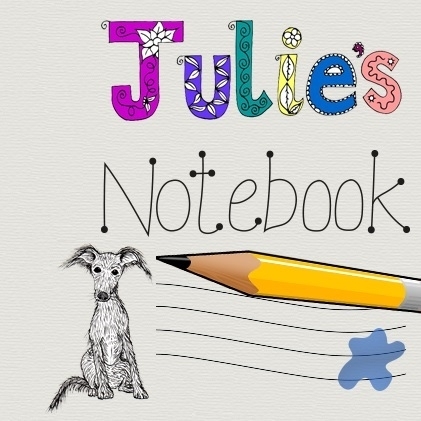 The Diary Of A Jewellery Lover recently wrote… A Better Quality Of Life In 3 Easy Steps. Ooh you look gorgeous! Love the hair, and adore your fishnet/shoe combo! Sonya Cisco recently wrote… Oh You Pretty Things – Small Things. I love your outfit – hope you have fun! Kara recently wrote… Tips for Quitting Smoking. Boo Roo and Tigger Too recently wrote… Restoring my calm at The Waterways #BetterPlaces. 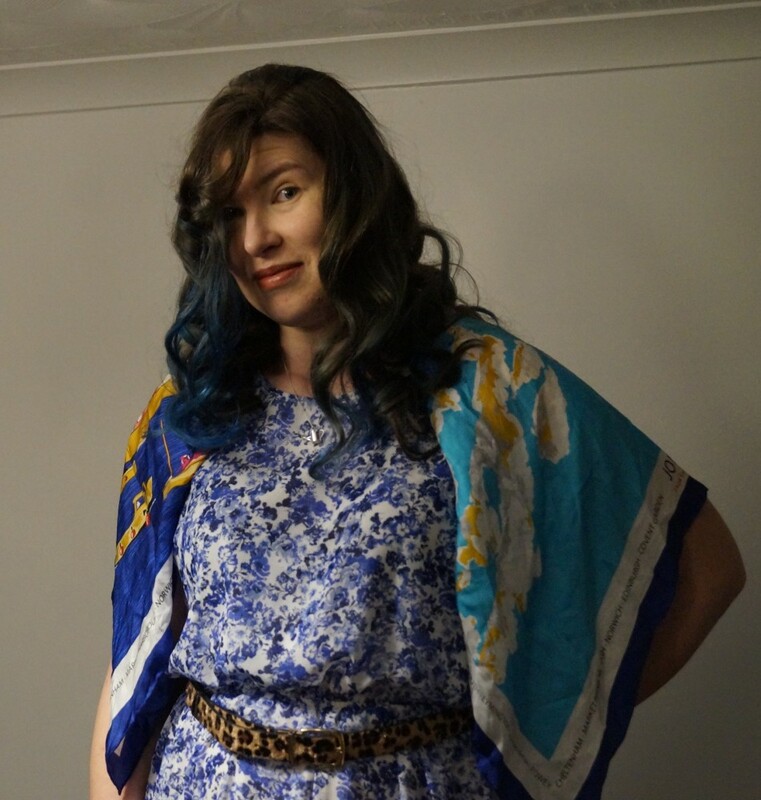 Great outfit – I love the blue of the dress….and in your hair! Globalmouse recently wrote… A trip to the end of the World – Sagres, Portugal. you look lovely hon. such a nice dress! otilia stocks recently wrote… YouTube Favourites. 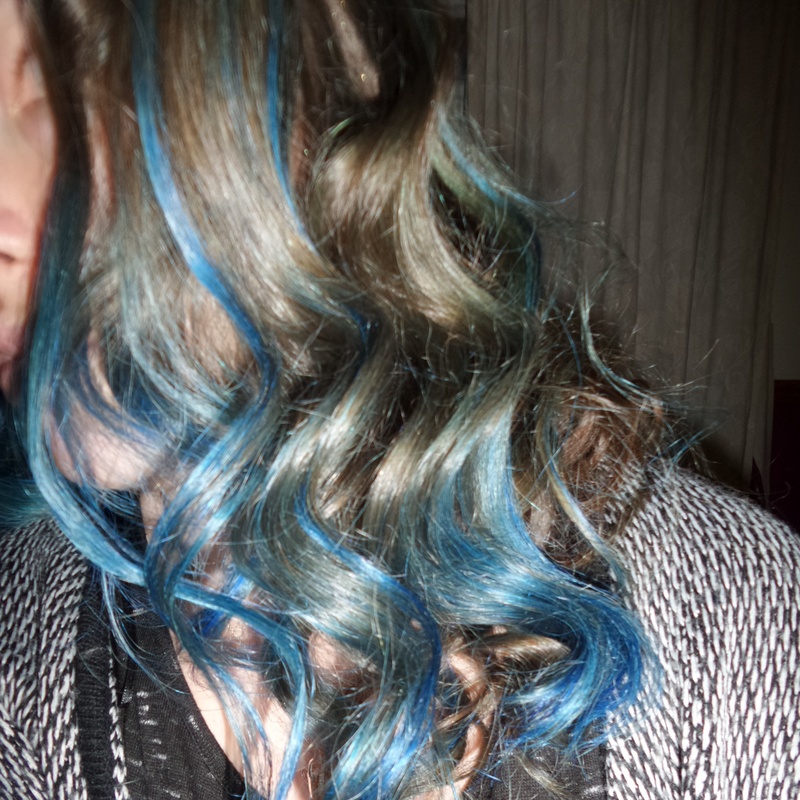 Fritha Strickland recently wrote… new hair!. Lori recently wrote… LIGHT LOVE FOR YOUR HOME // INTERIOR INSPIRATION.